Join our cultural immersion project in Tanzania and experience what it’s like to live in a Maasai village. You’ll learn about a culture and traditions different from your own, expanding your knowledge of people and the world. This is also a chance to experience a change of pace and do something different. You’ll live a simple life with the Maasai people, helping with daily chores like milking cows and goats. You’ll also support the local community, helping to build infrastructure they need and teaching English. The area where you live is amidst the beautiful African savannahs, giving you a unique chance to connect with nature. 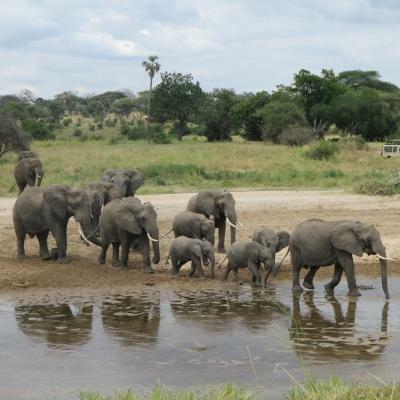 You’ll be based in Ngorongoro National Park, a five-hour drive from the city of Arusha. The park is a must-see for tourists, with its stunning landscapes and diverse population of wildlife. This is the perfect setting for an authentic African experience. In your free time, you can go on a safari, go hiking or bird spotting, or simply spend time relaxing in the shade of an acacia tree. Is this cultural immersion project right for me? This cultural immersion project is open to volunteers of all ages. It’s ideal for you if you are interested in travel and exploring different cultures. It’s the perfect opportunity to experience the more traditional way of life of the Maasai tribe, while also contributing your time, energy, and skills to a community in need. You don’t need any specific qualifications or experience to join. In fact, this is a great learning experience. You’ll learn to adapt to a different culture, a valuable skill in the globalised and multi-cultural society we live in. This project runs all year round, except in December, so you can join whenever it suits your schedule. You’ll need to volunteer for a minimum of four weeks, but we recommend staying longer to get the most out of this experience. 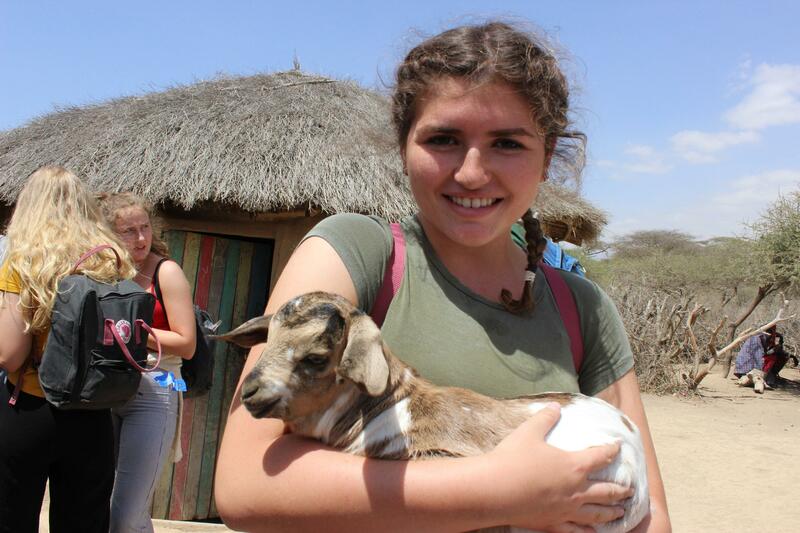 What will I do on this cultural immersion project in Tanzania? You’ll live in shared volunteer accommodation close to the Maasai community, but you will spend most of your time working in the community. This gives you the chance to chat to local people and hear about their culture and traditions. 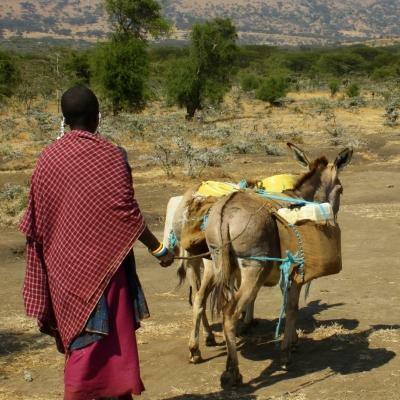 You’ll learn first-hand about the lifestyles of the Maasai people. To immerse yourself in the Maasai community, you’ll help with day-to-day chores. You’ll get to experience what life is like in these communities, giving you a taste of a more traditional lifestyle. You can help with milking cows and goats, collecting firewood, collecting water, cooking, and making traditional jewellery. A very rewarding part of this project is helping improve the quality of education for local children. You can come up with fun educational activities to improve their English. Through singing songs and playing games, you’ll encourage children to learn and practice speaking with you. While you teach, you can also learn some Swahili or the local Maasai language, Maa. You’ll work alongside local teachers, giving them extra support in their roles. They will also be able to guide you in your teaching work. The children in the community where we work don’t have many safe classrooms where they can learn. 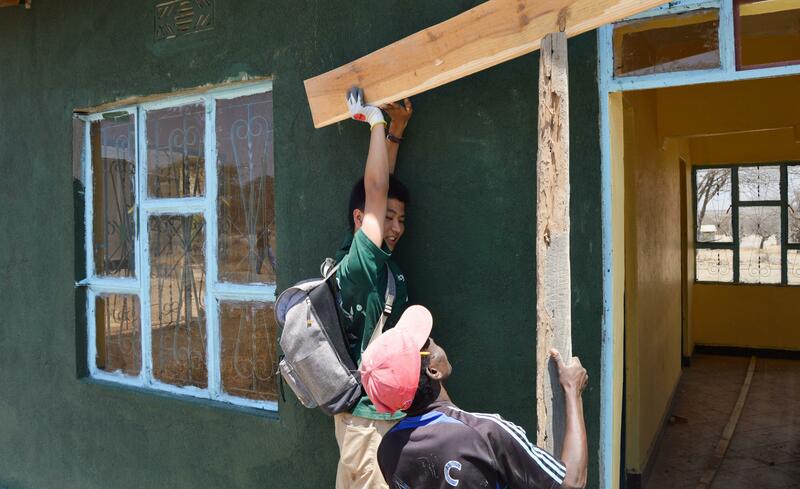 You’ll help with constructing classrooms and other school buildings to contribute to their education. Depending on the stage of building that a classroom is at when you arrive, you might help with digging a foundation or building walls. You might also help with installing a roof, plastering, or painting. Your community volunteer work in Tanzania will usually run from about 8.30am to 4pm, Monday to Friday. However, the schedule is quite flexible so you can expect some variation. You’ll have your weekends free, giving you the chance to travel. A typical work day will start with teaching children at the small, local school. You’ll work with teachers on creating lesson plans and will then act as a teaching assistant in the classroom. You might break into small groups after your lesson to do activities. We’ll give you plenty of guidance and ideas for the kinds of activities you can do to help work on children’s English skills. You can then spend some time in the village, helping with some of the chores or learning how to make colourful traditional jewellery. In the afternoons, when it’s cooler, you’ll help with building work. You can do a variety of tasks like mixing cement, building walls, or adding a fresh coat of paint to classrooms. Your evenings will be free, giving you the chance to relax and take in the scenery around you. With the wild animals roaming around so nearby, you won’t be able to walk around the village after dark. But being so close to nature makes the experience even more thrilling. You can spend your evenings playing a competitive game of cards with other volunteers or stargazing beneath the clear night sky. What are the aims and impact of this cultural immersion project? 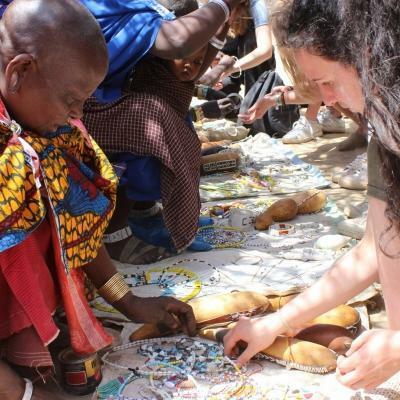 The main aim of this project is to give you the chance to immerse yourself in the Maasai culture, assist them with their daily work, and learn more about their unique traditions. You’ll work towards preserving their way of life, while also expanding your own knowledge and practical skills. We also aim to help provide quality education to children in a Maasai community. You will work towards achieving this by assisting local teachers with English lessons. You’ll also help provide a safe space for children to learn. The building work you do gives the children a chance to learn in a stimulating and comfortable environment. Join this cultural immersion project in Tanzania and experience the daily life of a Maasai community. You will be based in the Ngorongoro National Park, an ancient area rich in natural beauty and wildlife. Your project work will be in a Maasai community within the national park. This community is rural and you’ll spend your days surrounded by the African savannah. The semi-nomadic Maasai people live in traditional homes without electricity or running water, so you’ll get to experience a very different way of life. During weekends, there’s plenty to explore in this area. 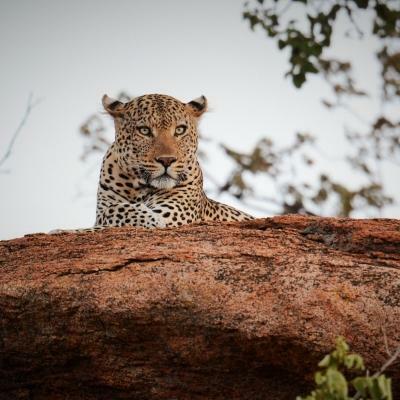 It’s the ideal location to go trekking or experience an exciting safari. 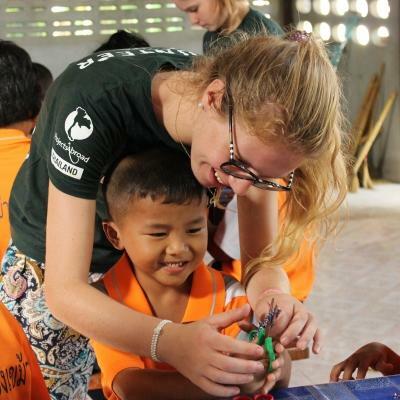 You'll share accommodation with other Projects Abroad volunteers during your stay in Endulen. 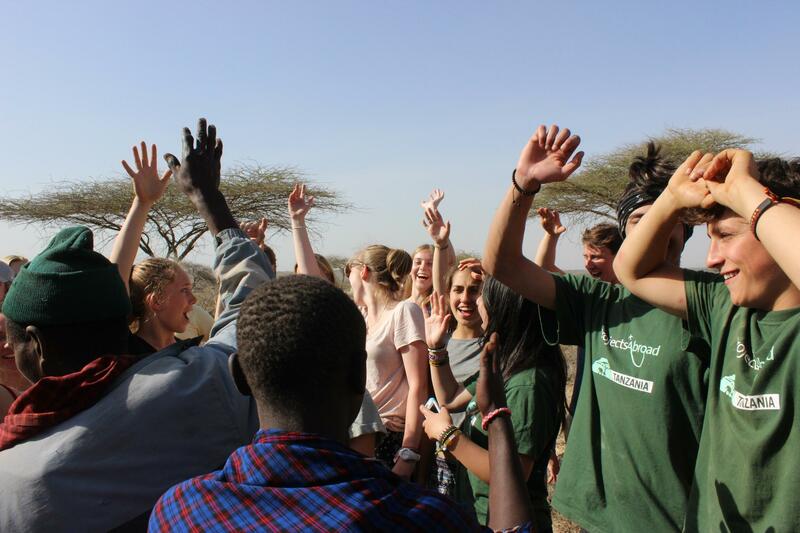 This is a great way to get to know your fellow volunteers and share the experience of living and working with the Maasai people together. The accommodation is safe, clean, and comfortable. Power is generated by solar panels.